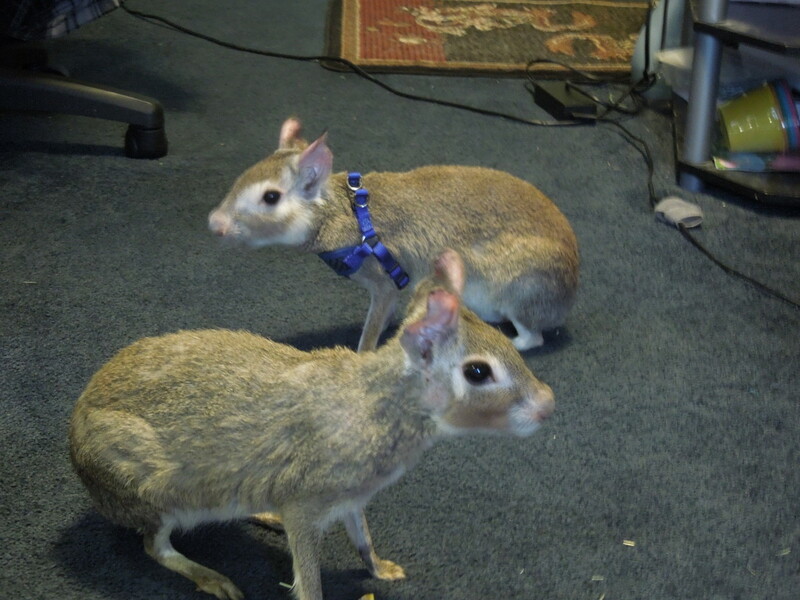 There are two members of the genus Dolichotis: the Patagonian cavy or mara, and the much lesser known rabbit-sized Chacoan mara (or dwarf cavy). They both originate from Argentina. 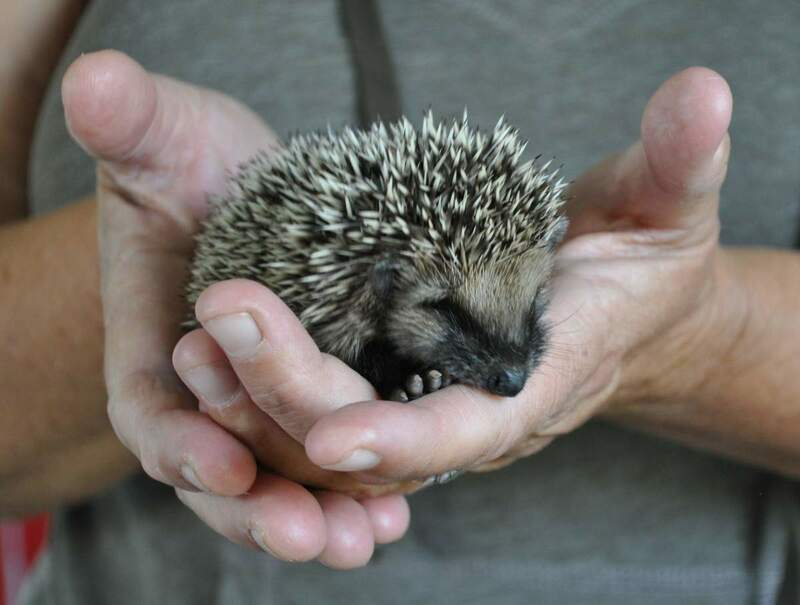 The former has become popular as an exotic pet, and it is often considered one of the ‘easier’ exotic animals to care for if you are prepared to housing it in an indoor-outdoor setting. Maras are unique animals, and everyone seems to think they look like other animals or combinations of them. Patagonian maras are described as being a cross between a rabbit and a deer, while Chacoans look like rabbits crossed with a goat or cow. Maras, or cavies, are rodents with their own set of unique traits that make them different from their closest domestic relative, the guinea pig. 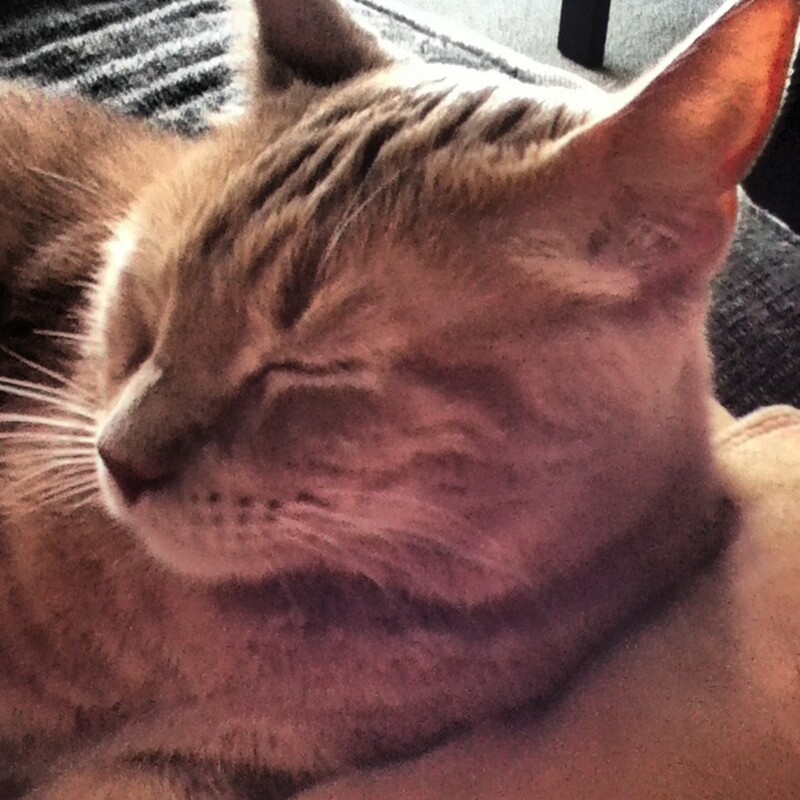 Like many animals, they are a good pet for the right person. What to Expect: Maras as House Pets? 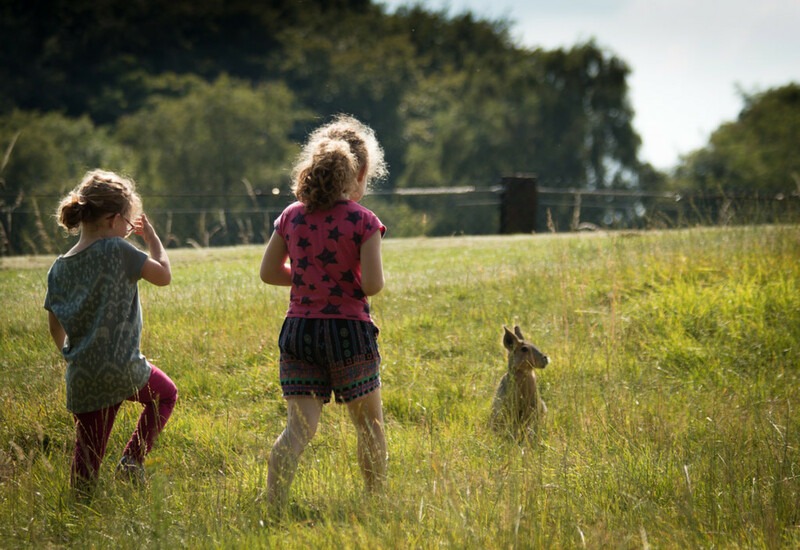 The first thing you need to consider if you want to keep a mara as a pet is where the animal will live. Both species can be kept indoors or out, but the default recommendation for the larger Patagonian is to keep them outdoors. Adult Patagonian maras weigh 18-35 pounds, reaching the size of a medium-sized dog. 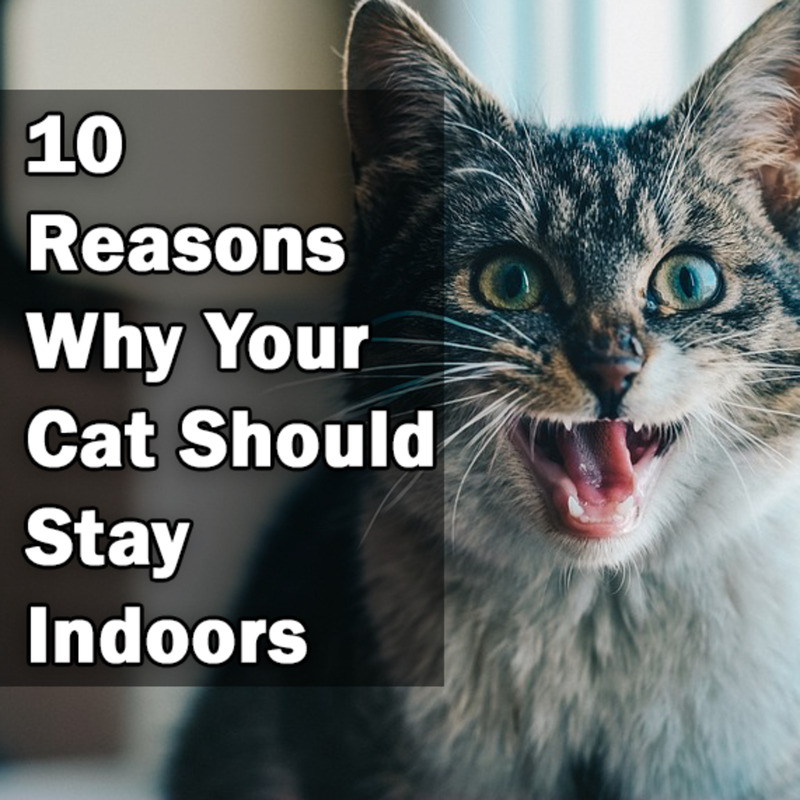 Unfortunately, they are not as well-behaved indoors as dogs. Being rodents, they are avid chewers. They like to dig, and they will make attempts to dig at your carpet and flooring. These animals have powerful hind legs and can jump, horizontally, up to 7 feet and run 45 km/hr! So while some people keep them indoors, they will not behave like 'traditional' indoor pets and will require some tolerance or exotic animal experience. 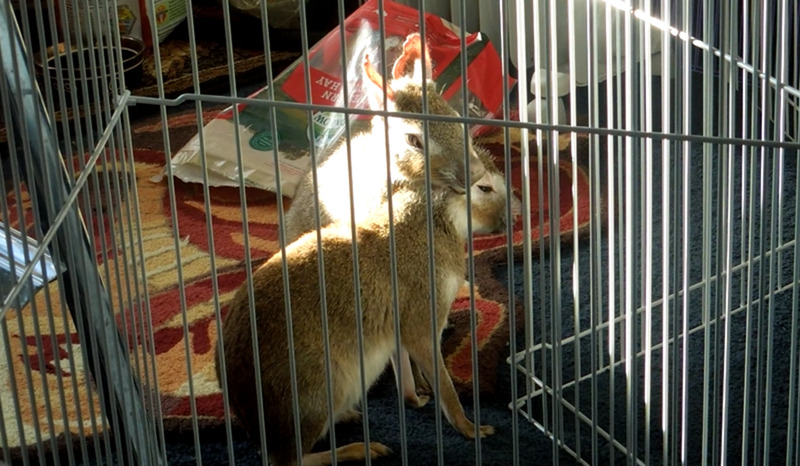 The small Chacoan maras can easily be kept indoors with recommended housing for rabbits (more space is recommended for rabbits than they are traditionally given). Just like some ungulates, maras exhibit a 'bounding' gait that advertises strength and speed and discourages predators. Patagonians can run up to 45 mph. Which mara species would you have as a pet? Main Diet. Maras can be fed like guinea pigs. They need 24 hour access to hay such as timothy hay, meadow hay, blue grass or oat hay. Alfalfa hay should never be fed unless the mara is young or pregnant. Without hay to eat, maras will not be able to file down their back molars. Pellets. Maras should also have a good quality pelleted diet. Many guinea pig and rabbit pellets will work. A popular pellet recommended for guinea pigs is Oxbow Essentials Cavy Cuisine Adult Guinea Pig Food. Using only rabbit pellets will lack the vitamin C that cavies can't make themselves. Fresh Vegetables. You can supplement the diet with several grasses (do not use grass from areas treated with pesticides), fresh vegetables, and fruit, which should be in limited quantities due to sugar content. Vitamin C. Maras, like guinea pigs, need supplemental vitamin C in addition to what they receive from their diet. This can be accompished by sprinkling powered Vitamin C that you can get from any store that sells vitamins for humans. Dealers also sell treats that contain etra vitamins. Treats and Chewing. Maras love and need to chew. Mine like to tear apart vine balls. They also LOVE treats for rabbits and guinea pigs, but be careful, they might fight over them. Enclosures for a pair of adults should measure at least 6ft. x 6ft. or 36sq.ft. (Meek, 1997) According to the Florida Game and Wildlife Conservation Commission the standard caging requirement for large and small cavies is an enclosure at least 6ft. x 4 ft. x 3ft. high and for each additional animal, increases the enclosure size by 25% of original floor area. Shelter should be provided. Maras, especially Chacoan maras, should have places to hide. Adequate space is important in enclosures with more than one animal for each individual to have space to separate themselves from each other when needed. Maras are cold tolerant, but will need supplemental heating in subzero weather (or they should be brought inside). If a Patagonian mara is going to be kept indoors it should have its own space without chewable items that aren't designated to be chewed on. 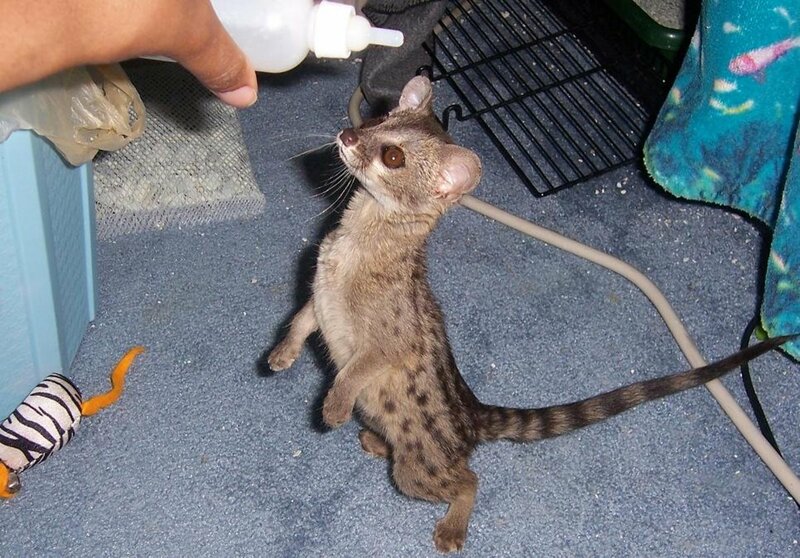 Fragile items can easily be knocked off tables and walls chewed upon if the maras are allowed to free-roam, however some people accomplish keeping them as house pets. Chacoan maras can be housed in a large rabbit pen that should, again, allow them to move freely. Purchase metal litter boxes to prevent chewing. They are often found on small animal supply websites. Metal food trays can work for Patagonians and can be found on Amazon.com. For fenced in enclosures, the fence should be at least 4 feet high. 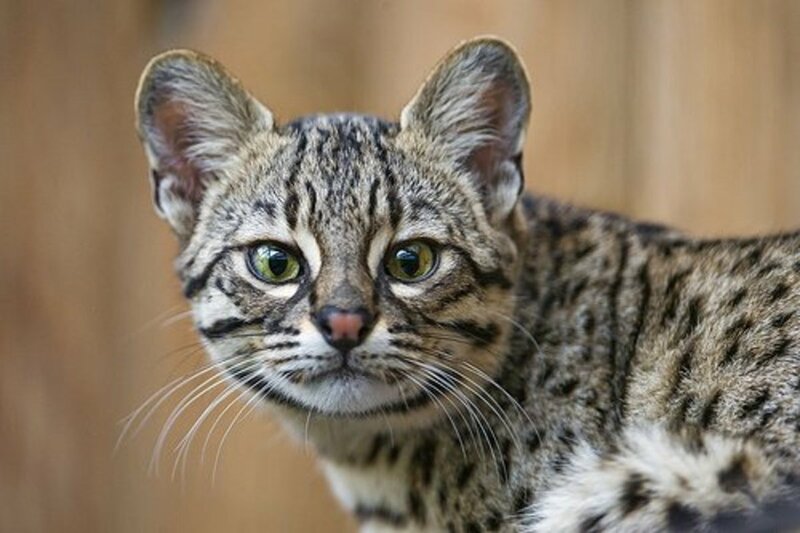 When kept indoors, maras can be trained to use a litter box to some extent. They won't really go where you want them to; you have to find out where they tend to eliminate and place newspaper or their litter pan there. Some owners say maras (and guinea pigs) tend to use the bathroom where they eat, so you can try placing the pan near their hay rack. My Chacoan maras tend to go in the corner of their smaller cage, so I placed a metal litter pan there. After they get the hang of eliminating in an elevated litter pan, they actually seem to prefer it and will seek it out in a larger space. Always be prepared for the occasional accident. The maras themselves don't really smell. 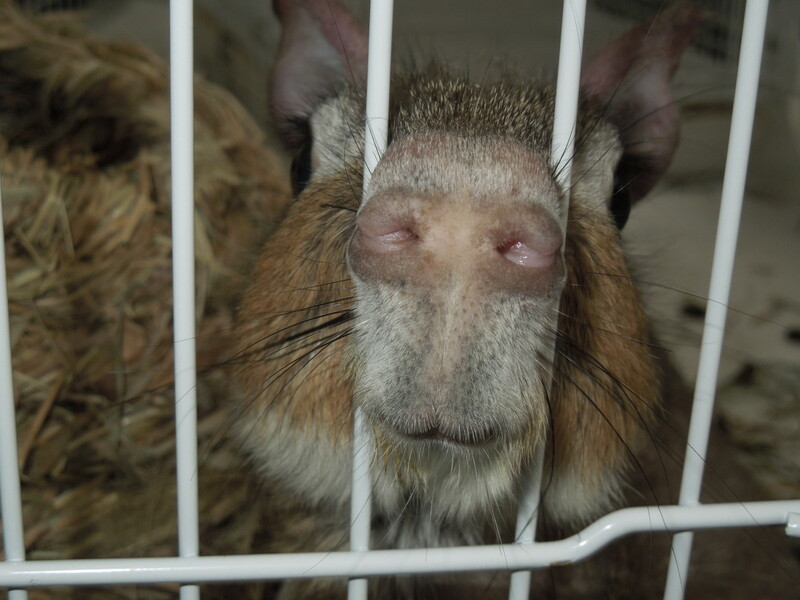 The Chacoan maras have a slight musk if you put your nose up against their fur, otherwise they do not 'smell'. Maras do produce a lot of waste, however, and indoor enclosures can smell if not regularly cleaned. My Chacoan maras inexplicably urinate a lot. I have no idea if this is normal with the species. Their use of the litter box is a lifesaver, and I've actually drilled plumbing into them so they drain into containers. This can produce an odor. For indoor enclosures, I strongly recommend a cage grate that allows waste to fall below and keep the maras clean. The litter box should have a grate as well. I order mine from kwcages.com. Patagonian maras are said to be affectionate for an exotic pet. 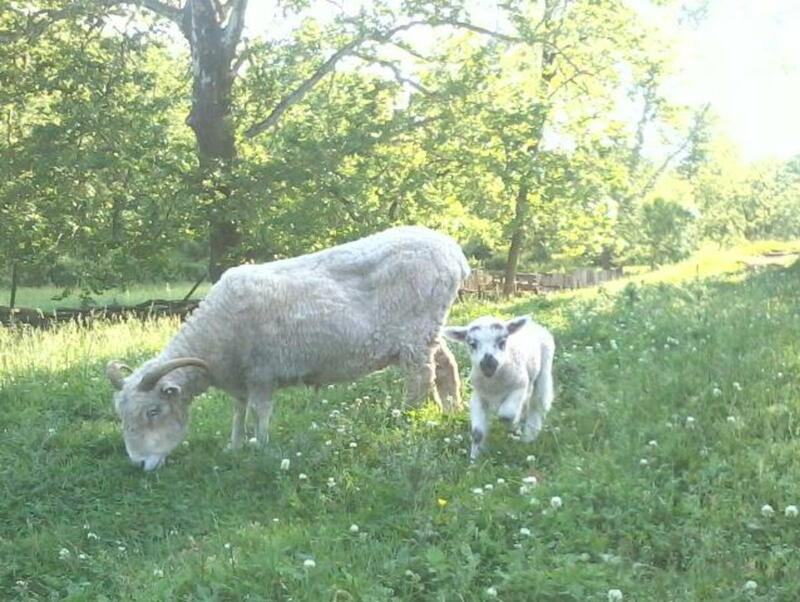 Like many non-domesticated animals, they will need to be socialized at a young age for optimal success with taming. If they receive enough attention when young, they should actually enjoy the company of humans. 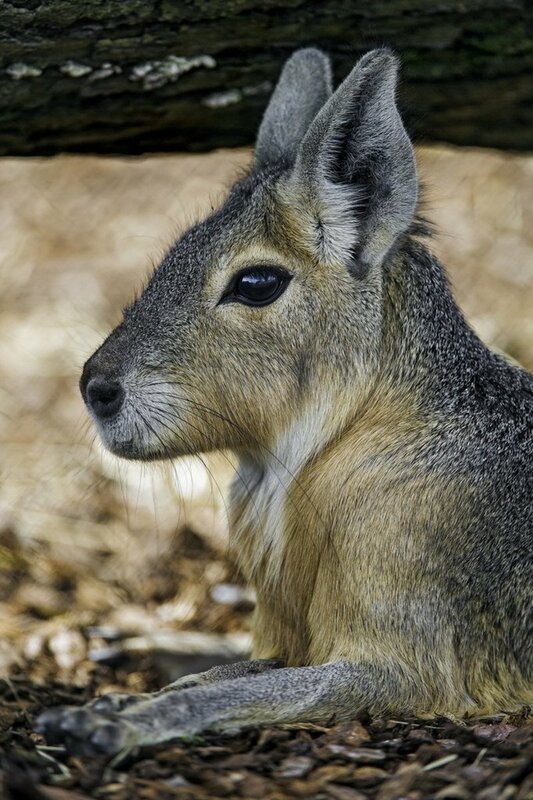 Remember that maras are prey animals, so a level of flightiness is to be expected, yet many owners say that well-socialized maras have a calm and curious demeanor. Some owners report that they love being petted and even will roll over to get their bellies rubbed. 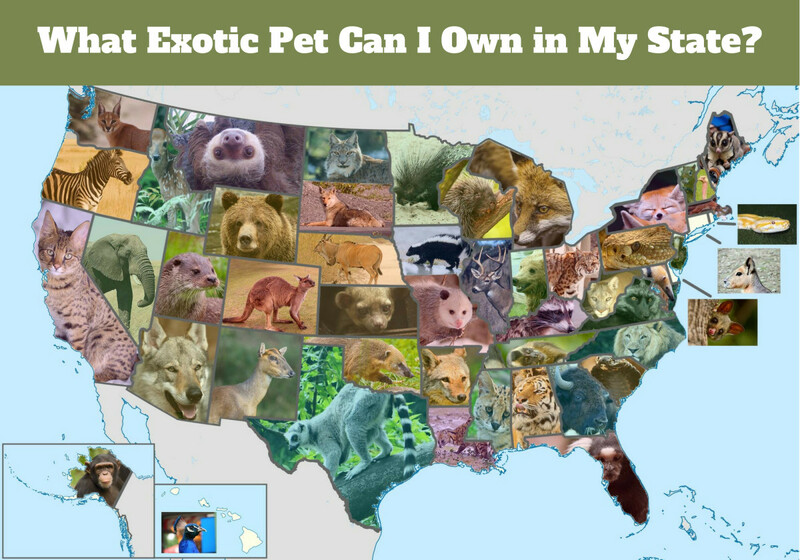 I like to exercise caution when getting exotic pets with expectations of them acting like 'traditional' pets. Chacoan maras in my experience are skittish and don't prefer human interaction, but other owners have individuals that are relatively affectionate, so it might depend on the animal. All maras can be trained like most animals. Use of operant conditioning techniques and clicker training can be highly effective, and you will receive positive interaction even with flighty individuals. Over-grooming and Chacoan maras. 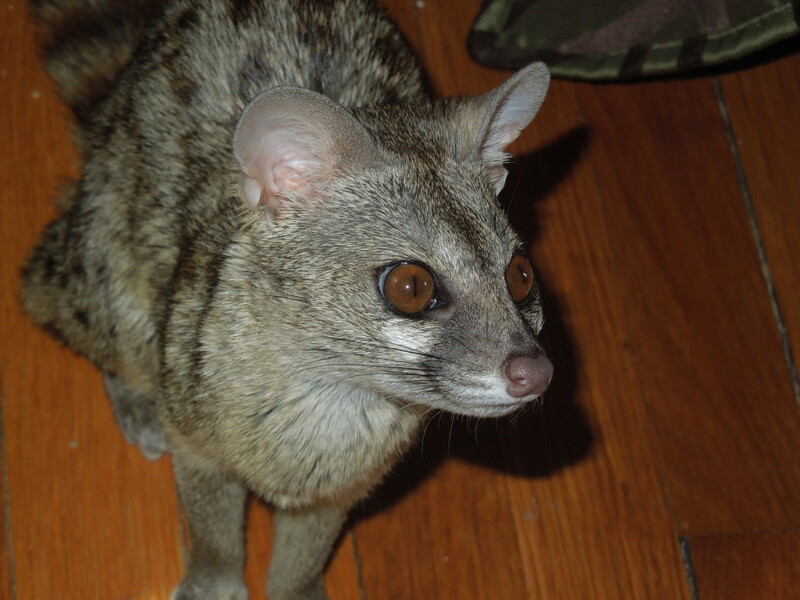 Some owners report that male Chacoan maras over-groom the females. I have observed that the maras groom each other, but the male is more aggressive with it. While the female doesn't seem to mind, the maras seem to have very delicate skin and the excessive grooming rapidly leads to hair loss and red marks. For this reason, owners should be prepared to separate mara pairs when needed. 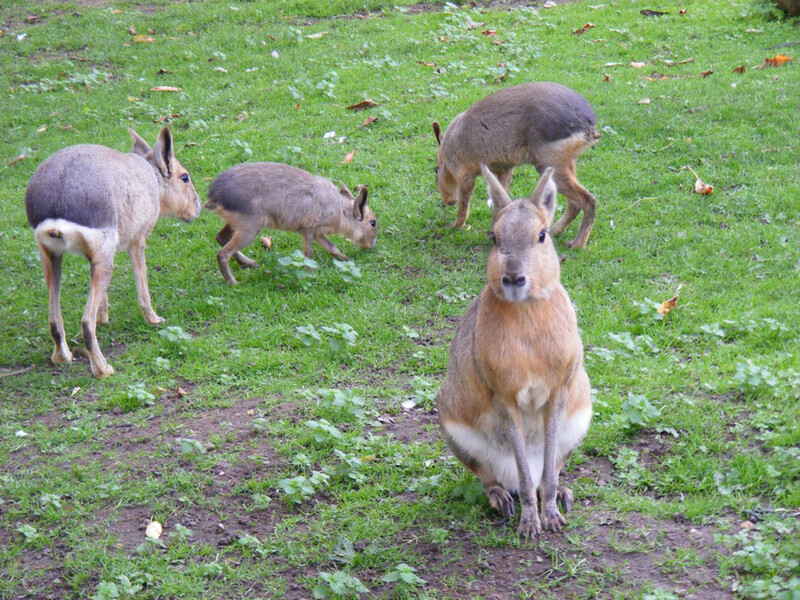 Patagonian Cavy's will enjoy the company of humans. They do not bite, even when under great stress under most situations if not all situations.